Queen of candles, Jo Malone London, has done it again. The newest scent in the range, Honeysuckle & Davana, is a beautifully fresh, woody and warming candle, reminiscent of a walk in the English countryside. This luxurious candle would make the perfect gift for autumn babies. Designer Anya Hindmarch has launched a kitsch range of candles inspired by the scents of everyday objects which evoke happy memories for Anya. Bringing back the nostalgia of “teenage romance and boyband posters”, the Lip Balm candle has sweet and fruity notes of dark cherry, plum and pomegranate seeds combined with musky rose and French vanilla. As the name suggests, The White Company’s seasonal Autumn Signature Candle is designed to remind you of crisp autumn days spent crunching through leaves in the park. A very autumnal scent, the candle is packed full of fruity notes of pear, quince and apricot blended with musk and amber. If you’re in need of a comforting, warming scent to make your home more inviting this autumn, try the Cocoa and Sandalwood range from Glasgow-based Shearer Candles. The rich, luxurious cocoa bean scent is balanced with smooth sandalwood, vanilla and warm apricot. 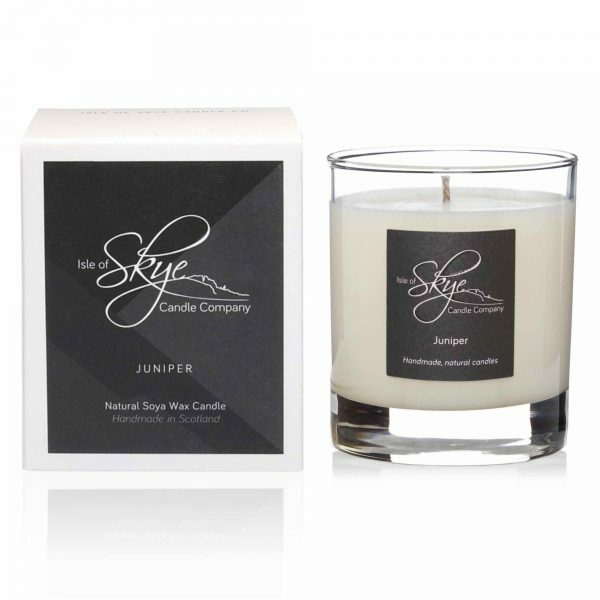 Like gin, but less alcoholic… the Juniper candle from the Isle of Skye Candle Company embraces the scent of these little berries to create a subtly sweet and fruity candles with woody undertones. This is the perfect candle to help you relax on a cold, dark evening.